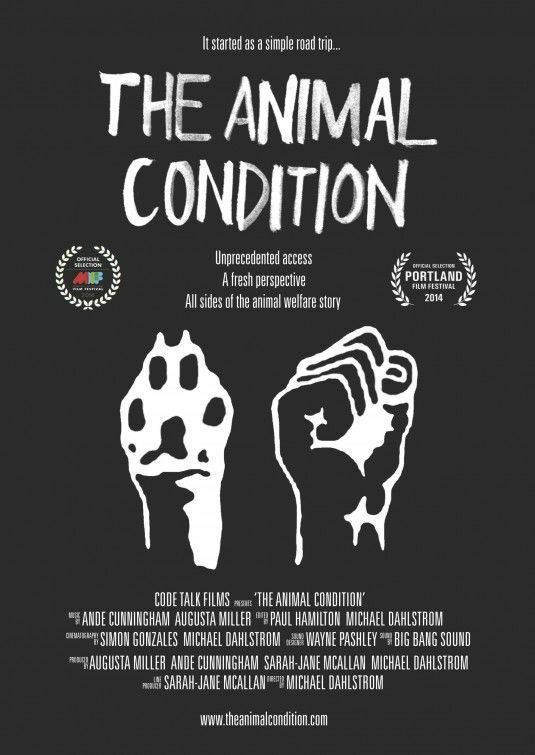 Straight off the bat, I think it needs to be said that The Animal Condition (2014) is a good film and as many Australians interested in food production should see it as possible. Local perspectives on these issues are hard to come by. It also needs to be said that, as many of you know, I am a vegan so much of my criticisms of the film come from that perspective. Though I would also add that I think the criticisms I make, about the lack of prodding and interrogation of sources, are true of all the participants in the film not just the industry personnel. Recent years have seen a lot of documentary films made about animal agriculture, from health, environmental and animal rights perspectives. The most successful of these such as Forks over Knives (2011), Food Inc (2008) and Earthlings (2005) have sparked a lot of conversation and also led to in some cases large changes in personal behaviour. Unfortunately though, most of these films and associated writing as well, are very American focused. So it is great to see The Animal Condition come along, as for an Australian it gives a much more Australian focused perspective on animal agriculture. 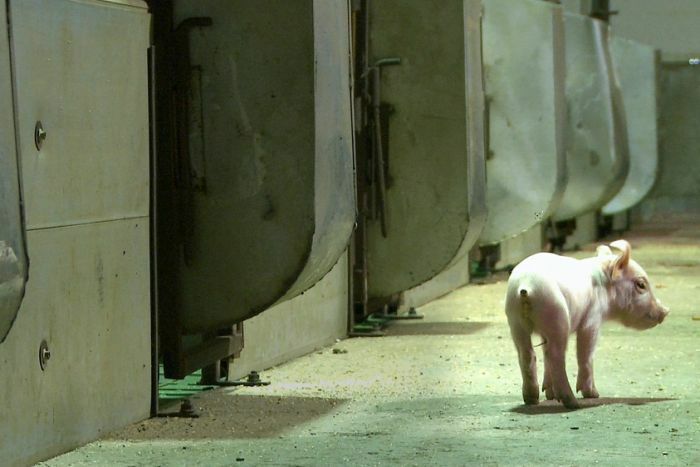 The film attempts to show all sides of the animal agriculture debate. The filmmakers travel with animal liberationists on welfare raids and talk to a lot of industry personnel. You know coming from my personal perspective it is at times kind of good to see industry figures given this platform to speak, as even when they are trying to gloss things over, they can’t help but let slip the insidious nature of it all. They talk about “control” of animals constantly, as if having absolute control over a living thing is a good thing. You have a farmer who supposedly loves his pigs refer to their odour as “the smell of money” gloatingly. Classy. It did jar a little bit for me some of the images and stories omitted from the film (though I do note that it is impossible to fit everything into a feature length examination of basically any subject). For example the film at one point ventures into an abattoir, showing the animals both pre and post slaughter. But tellingly no vision of the animals being slaughtered. Too thought provoking maybe? Similarly, the dairy industry and bobby calves are never discussed, nor the baby pigs taken from sows. Again, perhaps these potent parallels with the human experience were considered a little too touchy. 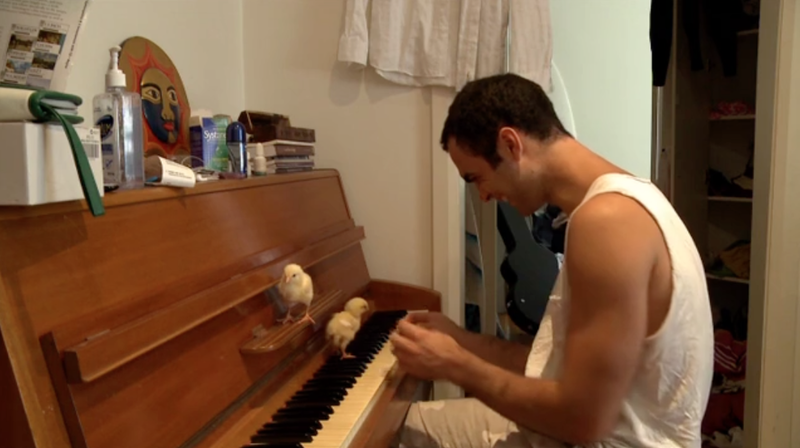 In the end, The Animal Condition plays a lot like fellow SUFF 2014 documentary American Arab (2013). There are plenty of interesting points made, but no real through line successfully binding it all together. Even more than American Arab though, I can’t help but fault the filmmakers a little more in this case. They seem to constantly flip flop from one side of the issue to the other. Grappling with major issues is understandable and makes for great cinema. Indeed to do anything else comes off as glib. But taking what every interest group (on all sides) says at face value does not make for great documentary filmmaking as it lacks the requisite interrogation of sources. There are too many opportunities for the participants to get in rehearsed sound bites without being challenged on what is being said. We have Australian industry figures telling us factory farming is a good thing because there are people starving in Africa. But they are never asked whether plant or animal based protein would be able to feed more of the world’s poor. Not to mention the fact they couldn’t give two shits about anyone except the Australians who buy their product. They don’t care about you if you are a starving African (they don’t about you if you are a starving Australian, cause you can’t afford their product). There are numerous instances such as this where more filmmaker intervention was required to actually get some depth into the discussion. Related beermovie.net articles for you to check out: SUFF 2014: The Dog and SUFF 2014: Housebound.